In case you missed it, Trizzy is in this awesome Adidas Originals campaign directed by So-Me. The ad features “Landline 2.0”, which is on the Tuna Melt Remix EP that dropped today. Other remixes by Les Rythmes Digitales (! ), Q-Bert (! ), Jack Beats and more. 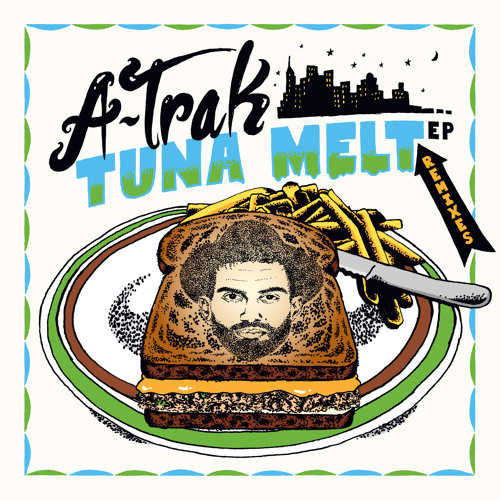 Today A-Trak released the excellent remix package to accompany the Tuna Melt EP on Fool’s Gold. Collaborators range from legends to break-out rookies, highly characteristic of A-Trak to push dance music into the future with reverence for the roots.